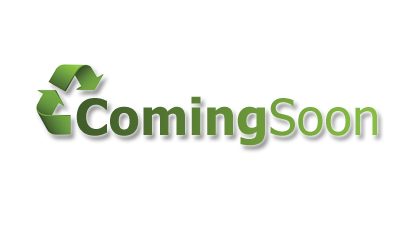 While some of the plastics that we purchase are sorted and resold (see our purchasing page). Many are processed right here at our plant in Tipton, IA and sold to customers throughout the Midwest. 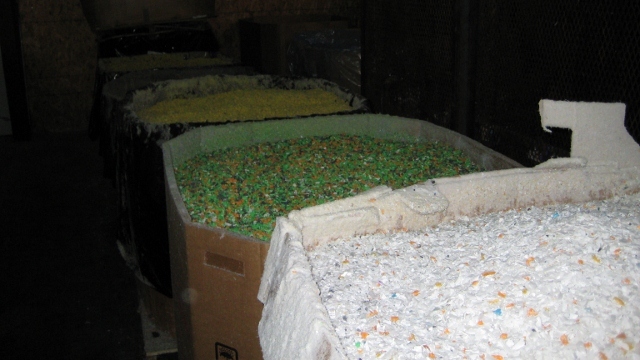 Post Consumer HDPE bottles are sorted, ground, washed, dried, then extruded into a fractional melt pellet. Our repro-pellets are always of the highest quality, and every batch has the MFI and Material Source noted on the container. 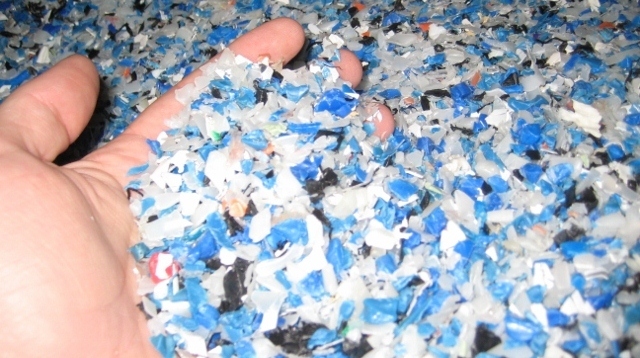 Other plastics such as injection grade HDPE (high density polyethylene) and PP (polypropylene) are toll ground to a flake or regrind. Custom Repro created from densified films and bags. Custom Repro created from mixed color post consumer HDPE bottles. Custom Repro created from post industrial HDPE poly pipe. Custom toll grind from sorted post consumer bottle caps. Custom Repro created from reprocessed film/bag scrap. Custom Repro created from Grade A clear film scrap. Custom toll grind washed HMW drums & containers. Contact us to inquire about the material you need.